Pure Benzoin Oil is derived from the stem of long tropical tree with light green leaves. Liquid form of benzoin tends to discharge from this tree when its trunk is cut. The released liquid gradually deposits under its bark. The accumulated substance or oil can be accessed by cutting its bark. In East Asian countries, this oil is used to formulate medicines and to produce fragrance. This fragrant oil contains Vanillin (Aldehydes), Benzoic aldehyde, Cinnamic (Acids), Benzyl benzoate (Esther) and Benzoic. The essential oil of benzoin has pleasant and warm base to medium note fragrance that resembles to the smell of vanilla. Basil essential oil is suitable to be mixed with other aromatic oils of juniper berry, myrrh, lemon, rose, Rosewood, jasmine, frankincense, sandalwood, various spice extracted oils and citrus oils. This scented oil is commonly mentioned as Friar's balsam, Benzoin resinoid, Benzoin and Benzoin Essential Oil. 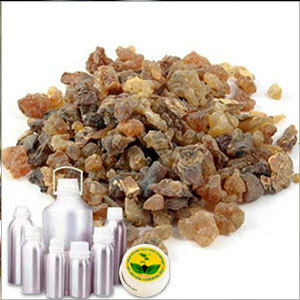 Benzoin Oil is used as an essential ingredient for producing a number of products that include fragrance, diffusers, massage oils, air fresheners, aromatherapy products, potpourri, laundry, spa products, facial steams, towel scenting, incense, hair treatment items, perfume oils, bath oils, light rings, lotions, soap and body fragrance. The medicinal properties of this oil is used for treating cold and flu, asthma, bronchitis, sore throats and rheumatoid arthritis.